Joining the Bicycle NSW Team as Membership Manager in November 2017, Alistair brings with him a broad range of knowledge of membership and experience. His previous roles were at renowned sporting clubs Essendon Football Club and Moonee Valley Racing Club. In 2018, he leads the team at Bicycle NSW as Executive Officer as the company turns its focus from events to advocacy. A Melbournian at heart, Alistair’s love for sport has never wavered which shines through in his passion and commitment for the Richmond Football Club. 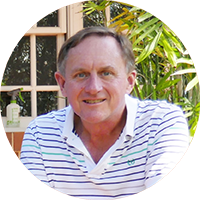 Among friends, Alistair is known as an ‘activities’ man, spending most of his weekends playing for a local AFL team, surfing or on the golf course. Cycling has always been a large part of Loretta's life. She commutes to the Bicycle NSW office every day by bicycle - rain, hail or shine. She can be often found on her bicycle during the day too, dropping off or picking up the many things that an office needs. 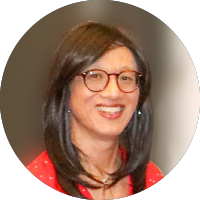 Loretta's role is to deal with all the financial aspects of Bicycle NSW, and like everyone at Bicycle NSW, anything else that gets thrown her way. Loretta has been a member of Bicycle NSW for over 25 years and before coming to Bicycle NSW in 2005, she was the treasurer of her local BUG for 7 years. She loves being able to work for an organisation that is committed to making cycling better. Bastien has ridden bikes for transport all her life in Australia and London, and joined Bicycle NSW as it's General Manager of Public Affairs in August 2018. She brings a track record of success advocating for people riding bikes in NSW, and a successful leadership career in the sport, health and fitness sectors. Beyond her personal passions for surf boat rowing, surf life saving, surfing, playing rugby and touch football, Bastien has a passion for public health and inclusion. When she's not playing sport, Bastien spends her time conducting research for her master's degree working on ways to use sport to treat lifestyle disease. After moving to Australia from the Netherlands, Carlijn joined the Bicycle NSW team as an intern for our Gear Up Girl ride in 2015. Growing up in Holland where there are more bicycles than residents and an extremely enviable bike friendly infrastructure, Carlijn is an experienced rider who has been cycling since the age of 4. 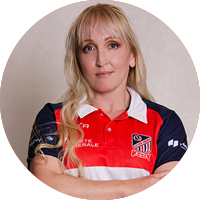 Her enthusiasm and cycling experience has played a vital role in the managing of our events. Carlijn has always had a keen interest in exercise and sport, which led to her obtaining a Master's degree in Human Movement Sciences, specializing in Sport Psychology. She loves to utilize her skills and passion by encouraging people to start riding bikes and promoting cycling as part of an active lifestyle. She organizes weekly training and social rides with friends to help build their confidence on the bike and to motivate and inspire them to love cycling. She thinks the easiest way to achieve a healthier lifestyle is by using the bike as a mode of transport. That is why you will hear her often say: "Look it up on Google Maps, you will get here faster on a bike! Kim is our Communications Manager at Bicycle NSW. After studying Media and Communications at university, she came to Bicycle NSW with a will to educate on all aspects of bicycle riding. She believes that education is key in creating an environment where all road users can reach a point of mutual respect and cooperation. 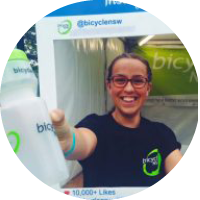 Anything to do with Communications or Marketing at Bicycle NSW, Kim is your go to. 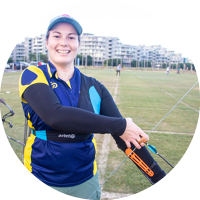 As a keen archer, you will usually see her spending time at her local range on weekends, often chatting to cyclists who stop by to watch. If you set her a target, she can’t help but to hit gold. 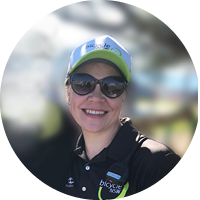 With a Bachelor Degree in Visual Communication, Kirra brings extensive experience to the Bicycle NSW team. Kirra applies her creativity and brand knowledge to both print and web designs for our Membership and Events departments. A keen recreational bike rider, Kirra enjoys discovering new routes and encouraging people to get out on their bikes. She believes that bike riding is great for both exercise and good mental health. 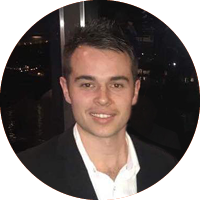 Matt joined Bicycle NSW as an intern in January 2017, before moving into his current role later that year whilst completing a Commerce degree at university. 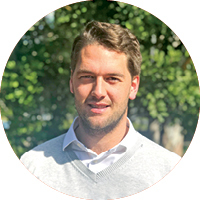 With a background in Marketing and Public Relations, Matt works on promoting Bicycle NSW to cyclists across the state, as well working to satisfy current members. With a passion for sport and physical activity, Matt relates to cycling as a great way to get out and active. He sees bike riding as a great way to get some exercise and enjoy time in the outdoors. Ray brings over 30 years of practical engineering consultancy experience to his advocacy work with Bicycle NSW. He joined as CEO in 2015, but since 2017 has been applying himself solely to the important task of advocacy. He is an avid rider, and still occasionally races his mountain bike with Western Sydney Mountain Bike Club - where he is a Life Member. More recently, Ray and his wife Sue have been taking time to sample rail trails around Australia. His latest bike purchase was a straddle bike for his grandson. Ray wants to see everyone able to ride safely in NSW.